The Canadian housing market is finding its footing after a prolonged stumble in the first half of the year, shaking off the impact of stricter mortgage rules and rising interest rates. Home sales increased 1.9 per cent compared with June, according to the Canadian Real Estate Association. 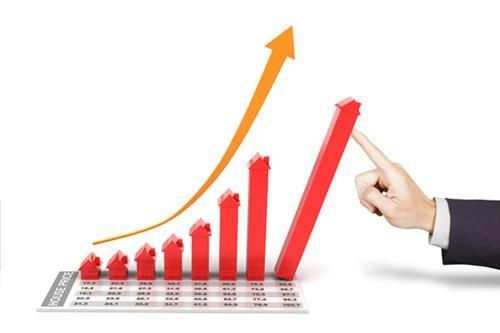 The move higher followed a 4.1 per cent month-over-month improvement in June. The Greater Toronto Area led the increase in July, while more than half of all local housing markets reported an increase in sales from June to July. Compared with a year ago, sales in July were down 1.3 per cent due to fewer sales in major urban centres in British Columbia. The figure marked a levelling off of steeper year-over-year declines earlier this year, according to BMO Capital Markets. The actual national average price for homes sold in July was just under $481,500, up one per cent from the same month last year. That marked the first year-over-year increase since January, CREA said. ``Supportive demographics and an undersupply of new homes in the GTA/GVA are underpinning prices, though poor affordability, a tougher borrowing climate and the non-resident buyers' tax likely rule out a return to the earlier mania in these two regions,'' said Sal Guatieri of BMO Capital Markets. British Columbia and Ontario, which typically host the two hottest residential real estate markets, have introduced a foreign-buyers tax. Excluding the Greater Vancouver and Greater Toronto markets, the national average price was just under $383,000.